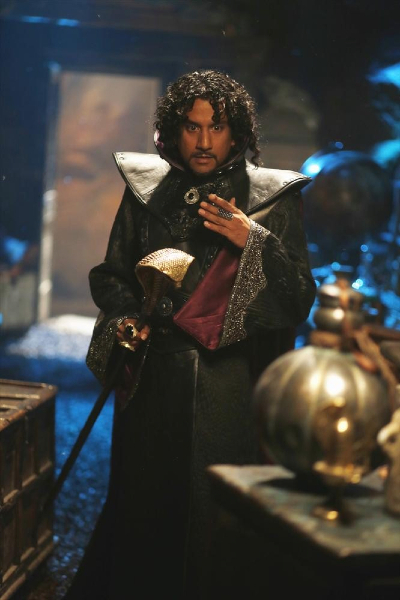 OUAT In Wonderland Episode 2 Images: "Trust Me"
The Once Upon A Time spin-off set in Wonderland premieres October 10 on ABC, and the network has released some promotional photos from the show’s second episode. In Wonderland, Alice concocts a plan to find Cyrus and uses his genie bottle as bait to find out who she’s up against and who her real friends are. Meanwhile, the Red Queen and Jafar face off and in flashback, viewers find out how Alice and Cyrus fell in love and how Cyrus ends up in Wonderland.